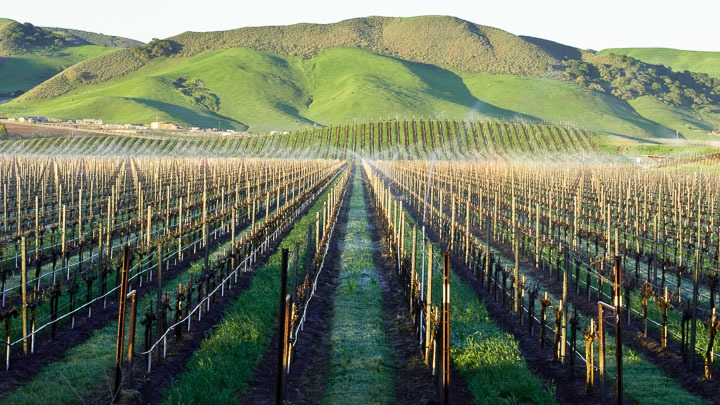 Your guides will meet you in Santa Barbara and whisk you off to the Santa Ynez Valley. We’ll start in Los Olivos, our home for the next two nights. 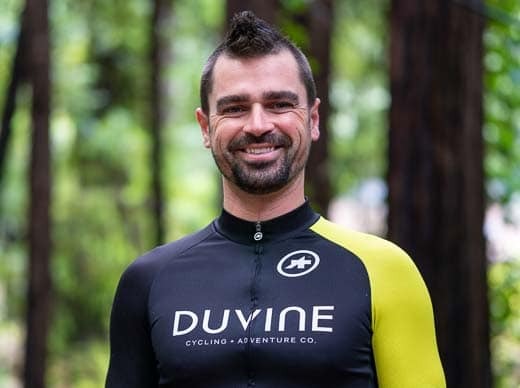 After a bike fitting and safety review, begin a gentle climb on Foxen Canyon Road surrounded by fields, cattle, and views of the Santa Ynez Mountains. 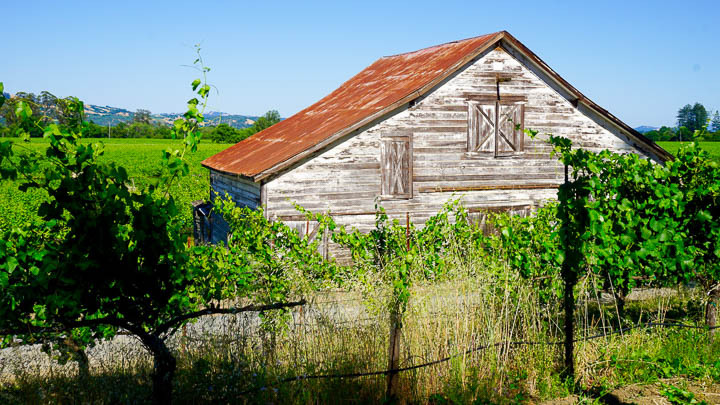 Descend past fields of Rhone varietals in Foxen Canyon, where beautiful tasting rooms dot the landscape. Our first fun lunch at a winery will include a casual tasting to kick off our trip. Choose to return to Fess Parker by van or by bike, and relax by the pool before dinner. This evening, we gather for our first dinner of classic California Coast cuisine. Start the day merrily pedaling through Happy Canyon. Surrounded by horse ranches and hillside vineyards, our ride provides a quiet contrast to the typical, bustling wine route—though the area’s climate nurtures beautiful Bordeaux and Rhone varietals. We’ll pass through the cowboy town of Santa Ynez and stop for coffee, then continue rolling past ranches where horses, cattle, ponies and even alpaca graze freely. Lunch is at a favorite funky spot where locals flock for an ever-changing menu of creative flatbreads, salads, and more. After lunch, shuttle back or tackle a climb through Ballard Canyon. The rest of the day is yours to visit the many tasting rooms in Los Olivos and find a restaurant of your choosing for dinner in town. Today we depart the Santa Ynez Valley for Santa Barbara—but not before a ride through Ballard Canyon’s vineyards into cute and kitschy Solvang. 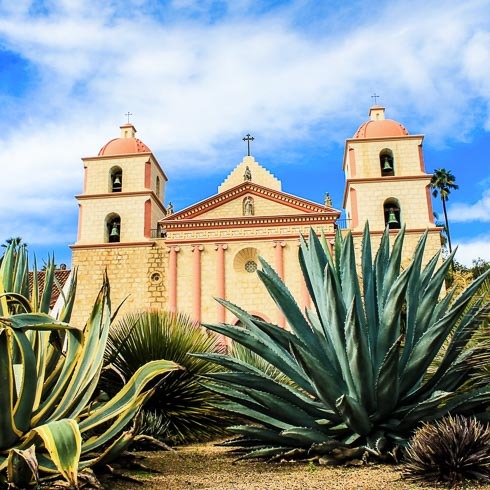 Cruise south through a quiet, verdant valley and reach a quaint farm where we’ll hop in the van and transfer the rest of the way to Santa Barbara. 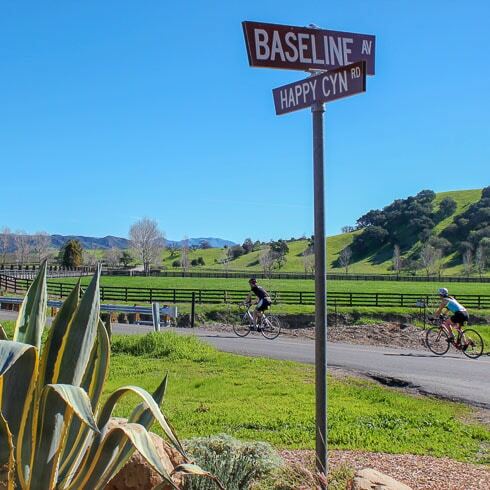 In Hope Ranch—one of Santa Barbara’s prestigious communities—we’ll get back on our bikes and head for the coast amidst palm trees and pristine golf courses. Keep riding past Santa Barbara’s harbor until we’re spinning right on a beachside bike path. After lunch with plenty of local personality, check into our next hotel and enjoy the epic coastal views and absolute luxury. Tonight, we’ll enjoy a gorgeous dinner as we watch the sun set over the Pacific. Have your morning coffee in the privacy of your bungalow or on the deck of the hotel, stealing one more glimpse over Santa Barbara. Today we set our sights on Ojai, a magical, laid-back town nestled in the foothills. 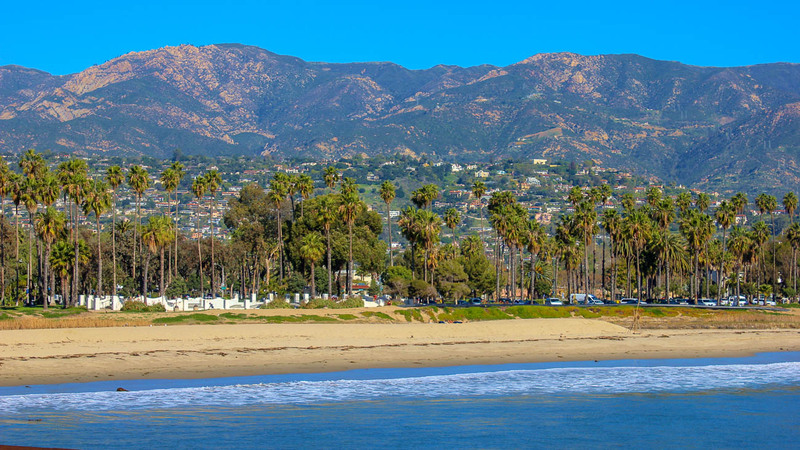 Head out from the heart of the “American Riviera” on coastal roads lined with avocado orchards and perhaps stop for coffee in the beach town of Caprinteria. Join up with America’s most beautiful bike path, which connects to Ventura along the Pacific and bathes us in that unbeatable sea-salt air. If you’re ready for the van after lunch in Ventura, we’ll take you straight to our next hotel. If you’re game for more, hang in for the climb from Ventura to Ojai. 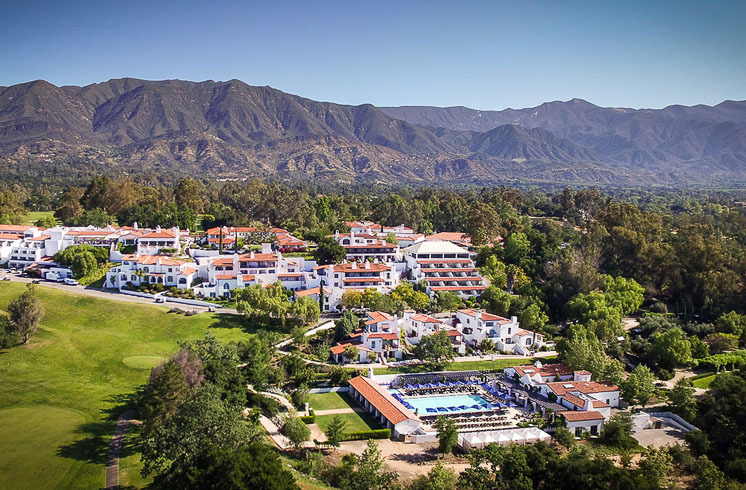 The coast is slowly replaced by California chaparral and old oak trees until we reach the Ojai Valley Inn amidst the Topatopa Mountains. This evening, dine on your own at the resort or see what appeals to you in town. 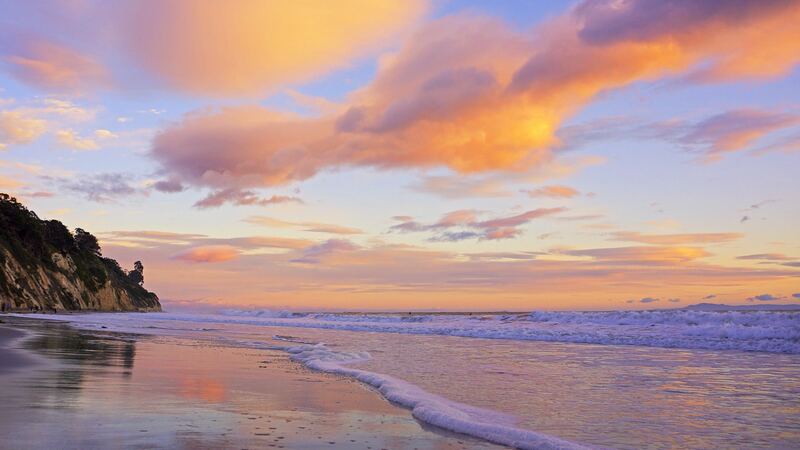 Let’s explore this piece of California paradise, shall we? There are two ways to discover Ojai—choose a breezy 16-mile day or ride the full 33-mile loop. The longer route follows the shores of Lake Casitas, then meets the rest of the riders as we reach Ojai. Together, we’ll pedal into Ojai Valley’s citrus and olive groves, which could easily be mistaken for the Mediterranean. 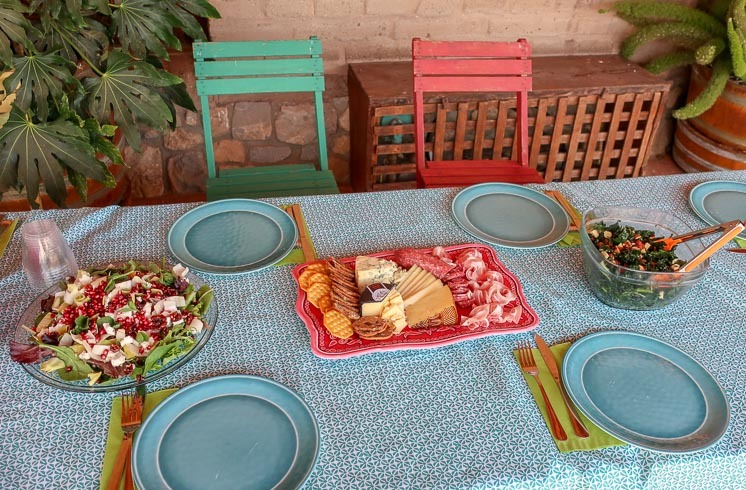 Pause along the way for an olive oil tasting with a local producer, then head back to Ojai for lunch and a chance to browse the town’s abundant art galleries. Tonight we share one final dinner and revisit our favorite moments of the week. On our final morning, catch a bit of extra sleep and sip a latte at the hotel, or fit in one last spin through Ojai Valley. At 11:00 am, we’ll shuttle you back to Santa Barbara. To show you all our favorite parts of the Central Coast, this tour includes transfers on multiple occasions. We like to think of it as an opportunity to see more of California en route to your next ride. Some sections of riding on this tour may contend with traffic. There are a few miles of urban cycling, though usually with wide bike lanes.